» How Does Our Fraternity Get Campus PD of Our Back? Our fraternity house is often busted by campus pd so we can’t use it for parties any more. How can we find an affordable new party spot? There are lots of ways that you can find affordable housing. I’m sure there are multiple available rental properties in your area. However, you’re not asking how to find a place to really practice your ritual or how to build brotherhood without a Greek-unfriendly campus administration getting in the way. You’re asking how to find a place to throw parties. You don’t need to hear how to find a cool party place. You need something else. If your house is getting busted by campus police that means you’re doing something that you shouldn’t be doing. You’re a fraternity house, not a bar or dance club. Your chapter lives and operates at the house. Your mission, standards, and values mention nothing about great keg parties and epic games of beer pong. For lack of a better phrase, what the heck are you guys doing? Are you in such dire straights that you feel you need to be the “party fraternity” in order to keep up membership? 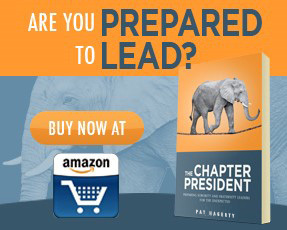 Is your leadership in such disarray that no one wants to act like a fraternity instead of a bunch of “frat guys”? I won’t even start to ask if you’re planning on using chapter money to fund this place. Party houses serve underage drinkers. 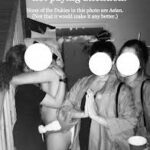 Party houses over serve young women and can lead to sexual improprieties. Party houses cause problems that the actual police, not campus police, deal with. Trust me, municipal officers are not near as friendly. Here’s my real advice: Don’t find a new party place. Clean up your house. Hire a cleaning service for a day and rent some carpet cleaning equipment. Better yet, do the cleaning yourselves to build some chapter unity. Involve your new guys and turn that house inside out. Then throw a “House Re-opening” party, without the usual drinks and debauchery, to show everyone that you guys actually have your act together. Instead of going week to week trying to out-party people, you’ll have turned the house into something incredible that people will continue to talk about. Think about how the campus police will be off your back once you make a POSITIVE impression. You’ll be the fraternity that doesn’t get stereotyped for getting girls drunk and being a bunch of “frat-tastic” slackers. If your membership whines, tell them to get over it or get out. Parties can happen anywhere with anyone. It takes special people to build a fraternity and turn a house into a great place to have a better college experience than the average student. I’d be very curious to know where this house is located. If it is in a residential area then they are probably fighting a losing battle. This is the situation of my house and it has always sucked. Joe and Dennis both make excellent points and provide a good roadmap on what to do. The only thing I would add is you can be creative to minimize the impact to your neighbors. If I understand correctly, the neighbors are calling the cops because you are loud and obnoxious. Can’t say I blame them. We had this problem as an undergrad for all our parties but our beach party. At our beach party we would have a guy with a guitar play beach music on our front porch. And every year all the neighbors would come out on their porches to listen. Hell, even the cops would pull up on our street to listen to the music. I wasn’t a nuisance because everyone liked it. Maybe that could be another solution to your problem. If you can’t beat them – join them. This one is difficult. My first reaction is to go with what Joe is saying above. He’s not wrong. That is what your house is first and foremost supposed to be. My advice would be to do what he says and make sure you’re meeting that standard BEFORE you tackle the next part of this equation. At the same time, I don’t know enough about the situation on the ground. In the real world, we can’t afford to do all of our events at a bar. To just survive on my campus operating that way would cost 100k/yr, which is more than the gross of any chapter on campus. It’s just not possible. In that world, you HAVE to do at least some events at private properties – be it a fraternity house or someone’s house. As idealistic as we all are, we have to do business in the real world. So, I’m not telling you to have a party house. I’m telling you to evaluate how much you can do at outside venues versus how much you HAVE to do at a private property, and then lets find a solution for how to do those private property events in a way that doesn’t get you in trouble. Who are your neighbors? This kind of thing doesn’t typically happen unless you’re getting complaints. I’m guessing you have converted single family homes (probably have no insulation & loud as hell outside) spread around town, intermingled with student, grad-student, and non-student housing (ie this is really the zoning board’s fault). That’s a recipe for conflict and there’s not much you can do to make it positive. All you can do is make it not as bad. I’m sure you get the obvious stuff: build positive relationships with your neighbors, tell them in advance when you’re having a party, make sure they have contact numbers to tell you directly when they are mad about something, etc. Don’t have trash strewn through your lawn, clean up at least the outside before 10am the next day, improve your curb appeal. Don’t let drunks piss in your bushes or pass out in your yard. Hire a security officer or off-duty cop to help work the door and keep that dumb stuff under control. Run good risk mgmt. That means your visible security at the door is checking IDs, marking under/over appropriately, not letting drunks in, and you’re keeping control of the party – throwing out idiots, not serving visibly drunk people, etc. Have an active with some authority SOBER on the porch to deal with the police. Now, what are you doing to mitigate the visual and noise issues from your property to neighbors? That’s where tarp fences got invented for outdoor parties. Blankets over the windows is about both. What direction are you pointing your speakers? How loud are you making this? Is it more effective to have one giant source for music playing really loud, or several smaller sources playing lower volume in different rooms? Outside of them pissed off on your porch, have you talked to the police? Why don’t you do everything you can to reduce the problem, make a bullet list of everything you’ve done, then make an appointment with a senior supervisor at the PD during regular business hours. Explain that you don’t want trouble, you’re doing all this stuff to mitigate the problem, you want to work with them but you’re frustrated and don’t know what else to do. He’s going to tell you not to have parties, you’re going to explain that fraternities are not about parties but our members have to get their money’s worth in things like social or we can’t survive – we can’t do all events at bars, we’re too broke for that. You’ll agree to disagree, but maybe you educated him a little bit. I can almost promise you they think you multiple hundreds of thousand dollar budgets and are choosing to do irresponsible drunken house parties because you’re out of control stuck up punks. Anyway, stay civil & once you get beyond that part then he’s going to suggest reasonable stuff. It may be certain days you should or should not have parties. It may be something stupid like beer cans in the yard that you would have never thought of. You aren’t going to be able to do everything he says, but you can find room in there to compromise. Have an adult conversation. Try to find middle ground. It won’t solve the problem, but it’ll help. Then do stuff to impact their street officers. Have a couple of them visit your meeting to talk about something – alcohol awareness, whatever (get the municipal judge to come talk about something like what to do if you’re stopped for a DUI). You can start with doing a philanthropy event to support equipment for them. Do an annual philanthropy event with them. Couple examples I’ve seen are cops versus frats basketball tournament, cops vs firefighters always goes down well too, co-sponsor a safe Easter egg hunt with the PD in the park. It’s probably too late for this right now, but I’ve also seen a philanthropy that turns fraternity houses turned into safe haunted houses for halloween, and halloween events in the park for kids. My article from yesterday on a drunk driving awareness program that directly involves the PD (http://thefraternityadvisor.com/the-most-powerful-new-member-education-lesson/) is also a great program to help improve relations. Basically, it’s mitigating risk of problems and targeted PR. That’s all you really can do other than outright move. Now, about moving or finding a party house… I’m really against having multiple houses in different locations. Even the strongest chapters start getting cliquish. You already have a dynamic of some people that want to rage and some that are responsible. When you divide the sides in two locations… well, that’s how the civil war started. This is not unworkable, but I absolutely hate it. Your party house is presumably going to be a place that doesn’t get messed with, which probably means further from campus, maybe outside the city limits, etc. That also means more problems with drunk driving and less oversight leads to less on-the-ball risk mgmt, which ends up getting you in more trouble or possibly gets someone really hurt. I would rather see you move your official fraternity house to a location that isn’t going to have as much conflict with the community, but is still visible and well-regulated. The best case is Greek row with nothing but green space, entertainment areas, commercial, or undergrad housing around it so there won’t be much conflict. But, that’s very hard to achieve. Do the same thing you did with the PD. Go talk to the full time staff at planning & zoning. Have them help you evaluate areas where your unique property usage is going to cause the least negative impact on the community. If this is a city PD rather than UPD issue… Get your whole Greek community registered to vote in your town and make your presence known in elections. I wouldn’t recommend openly endorsing anyone. That will not help them with the community. But, turn out your vote and make sure elected officials know you’re a big segment of the voting public. They’re willing to screw you right now because the rest of the community votes and you don’t. If they see you as a political force, they’ll be a little more cooperative in zoning issues and in restraining the PD to actually provide equal protection to all citizens. If this is a UPD problem, have that same conversation you had with the PD with the VP of Student Affairs &/or Dean of Students. The President sets the priorities for their university, including the UPD. If you are a positive influence on campus, doing good things for the university, your alumni are giving back, etc, then maybe you can make a case that reducing on-campus sexual assaults and burglaries is a little more important than messing with college kids drinking. Maybe the non-Greeks that are drinking much more and in massively more dangerous ways should get some focus. Feel free to figure out some stats on Greek vs. non-Greek crime. I’m sure they actually think the majority of alcohol and drug abuse on campus is done by Greeks, when it is almost certainly the other way around. Look into open records requests to help get some of that info. All that said, really, go do what Joe said FIRST. THEN work your way through my advice. There’s a comfortable medium there. You may not love the compromises you have to make, but thus is life. You should be able to find a way to operate.